The Independent Spirit Awards nominations are out! And the categories are filled with surprises that will (already) definitely make this awards season interesting. Film Independent has showed plenty of love for The Orchard’s “We the Animals”, which picked several noms, along with Amazon’s “You Were Never Really Here”. That Joaquin Phoenix drama, released in the Spring, is up for Best Feature and Actor (for Phoenix). Joining it in the Best Feature category are A24’s “Eighth Grade” and “First Reformed”, Annapurna’s “If Beale Street Could Talk” and Bleecker Street’s “Leave No Trace”. “Eighth Grade”‘s stars are up for Best Actress (Elsie Fisher) and Best Supporting Actor (Josh Hamilton). Plus, writer/director Bo Burnham is a Best First Screenplay nominee. All very well-deserved. Fisher has some tough competition, with the likes of Glenn Close (“The Wife”), Toni Collette (“Hereditary”) and Carey Mulligan (“Wildlife”) also on the ballot. Someone missing from the Best Actress group: Melissa McCarthy for “Can You Ever Forgive Me?” Her co-star Richard E. Grant did receive a Supporting Actor nomination. I’m very pleased that Thomasin Harcourt McKenzie is in the Supporting Actress category for “Trace”. 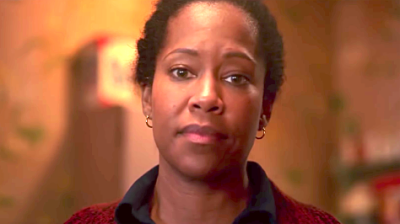 She’s joined by contender Regina King for “Beale Street”. And Ethan Hawke’s Best Actor nominated performance in “First Reformed” is one that has stayed with me for a while. Other nomination highlights include “American Animals” and Jonah Hill’s “mid90s” in the Best Editing category, “Sorry to Bother You” up for Best Screenplay and Best First Film, and “The Favourite” and “Roma” on the ballot for Best International Film. And to the joy of many in attendance of the nomination announcement ceremony, “Won’t You Be My Neighbor?” is a Best Documentary Feature nominee. But now… everyone must wait more than three months to learn if they’ll take home the trophy. The Independent Spirit Awards will air on IFC on Saturday February 23rd, the day before the Oscars. For the complete list of nominees, visit filmindependent.org.